Brenda comes to Fox Residential with an incredible 30 years in the real estate profession. She is an extraordinary broker who enjoys an outstanding reputation as a leader in the industry with her experience as a multimillion dollar producer. Her strong knowledge of the market, her negotiating and communication skills, and her passion to be the very best, provide a very successful formula in closing transactions. The Manhattan residential real estate market requires a highly qualified professional who is dedicated to deliver the best results. Brenda is that person. 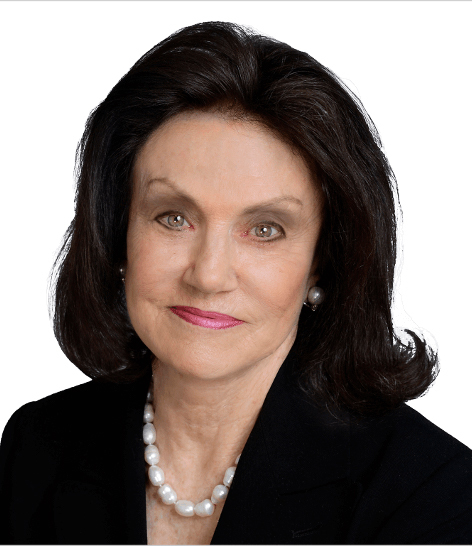 Brenda treats her business career with the same tenacity, integrity and intelligence that awarded her Cornell University and Columbia University degrees. Brenda lives on the Upper East Side with her husband Charles who is Chief of Endodontics at Columbia University Dental School. They are very proud of their 3 grown children: Laura, a Contemporary Art Advisor in the city; Larry, a Westchester Cardiologist; and Stephen, Chief of Interventional Radiology at Memorial Sloan Kettering Cancer Center. "Brenda is the consummate professional - intelligent, honest, and a skilled negotiator. She made our purchase a seamless transaction. We were thrilled to have our dream realized." "With our estate sale and all its difficulties, Brenda expedited the presentation of the property and worked to get all on board with multiple offers a fabulous price. We were in contract in a week!" "Brenda was incredible! Her love of people and her passion for real estate translated into an amazingly successful purchase for me. Brenda listened, was informed and reassuring. She worked tirelessly on a very difficult board package. Not only did she handle the transaction in a very professional and ethical manner, but she made me feel like this was more than just a business deal."